Kyle Jones just graduated from Columbia International University last May. But as a budding entrepreneur, he had the attention of the CIU student body. “Take nothing for granted,” said Jones, owner of KJ Films in Columbia. “Pay attention to what professors are teaching … and make the most of your connections and relationships,” was also his advice. 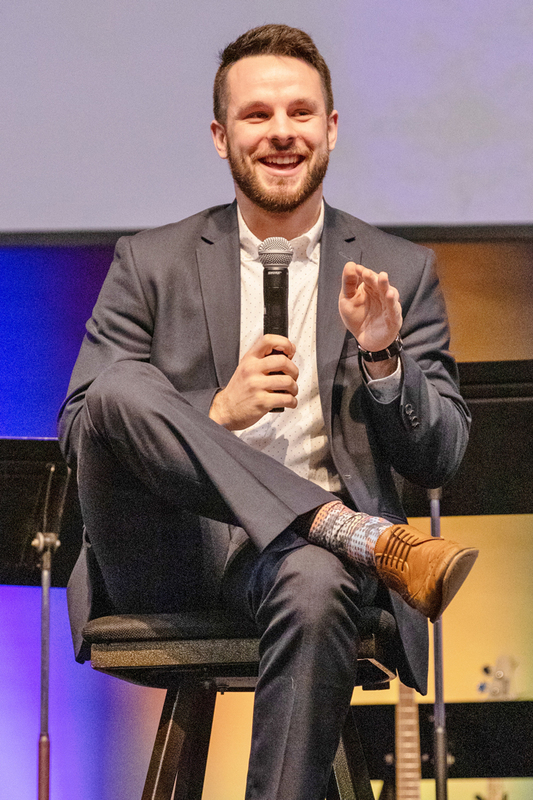 Jones joined other recent alumni on the stage of Shortess Chapel in a panel discussion hosted by CIU community relations officer Niki McIntosh, herself a recent alumna. McIntosh queried her fellow alumni who are at the forefront of professional marketplace and ministry endeavors. Daniel Stevanus who graduated in 2009 is a youth pastor at Mt. Horeb United Methodist Church in Lexington, South Carolina and has been making Christ known by applying what he learned at CIU. “The biggest thing is how we have been influenced and discipled here and to turn that around and apply it,” Stevanus said. Caleb Hankin, a teacher at Freedom Christian Academy in Fayetteville, North Carolina has been using his third grade classroom as a venue to be a light for Christ. John and Abby Harrell, who graduated in 2015 are headed to Southeast Asia next spring to make Christ known where there is little gospel light. All around the world in different settings, recent CIU alumni are applying what they have learned at their alma mater.